“Just Google it” is a phrase we hear time and time again when looking for information or the answer to a question. Needless to say, having a childcare website is a necessity to reach out to parents searching online. Only now, it’s not just enough to have a professional looking website to make a good first impression. 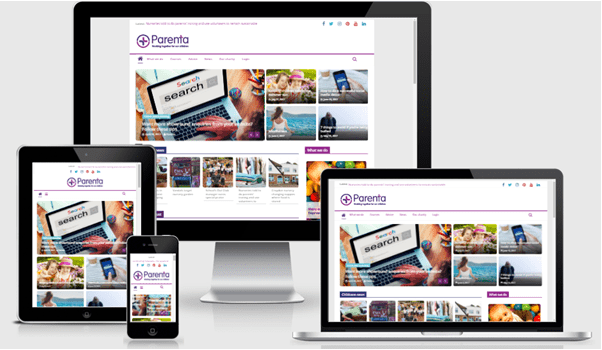 One of your site’s primary aims must be to generate new enquiries, encouraging prospective parents to book a showround with you. When people are unsure, they look to others to decide what to do. That’s why social validation, in the form of testimonials, is so important. According to Dimensional Research, 90% of people who recalled reading online reviews claimed that positive reviews influenced their buying decisions. Therefore, the more positive testimonials you have on your website, the more influential these will be. Call to action buttons describe what action you’d like your visitor to take after visiting a page on your childcare website. These buttons should be eye-catching, with a simple, short instruction such as “Contact us”; “Book a showround” or “Find out more”. They should tie in with your chosen colour scheme but also be distinct enough to stand out on the page. Why not try changing the colours or wording of your call to action button, to see which combination gets the best response? 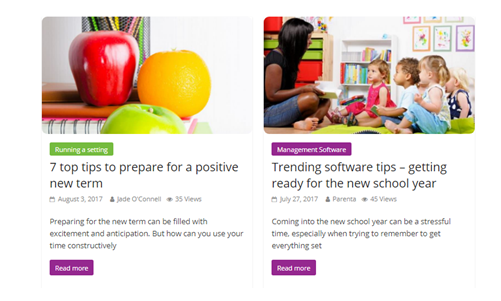 Having a blog or social media feed on your website will give prospective parents a feel for what your setting gets up to. The more detailed the picture you can build for parents of what it would be like for their child to attend, the easier it will be for them to make the decision to contact you. Make sure your website pages are free of spelling errors, as this will help create a professional opinion of the service you provide. Whitespace, also known as negative space, are the areas on your website page which are empty. You want to give your content and photos some breathing room by having plenty of white space around them. 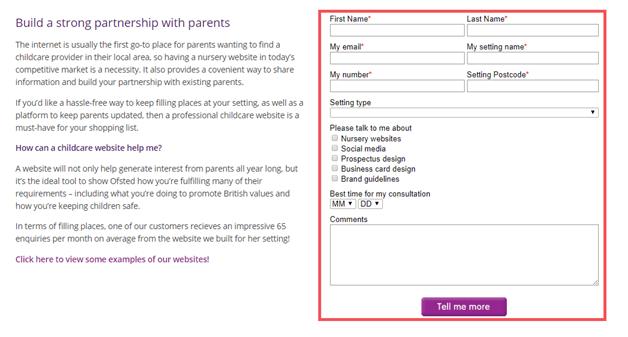 However, where appropriate and relevant, these areas can also be used for enquiry forms or call to action buttons. Your ‘contact us’ page should be easy to locate – it’s a good idea to include this on your menu page so that it’s easy to navigate to. Once there, you should include all the main contact channels your company uses. 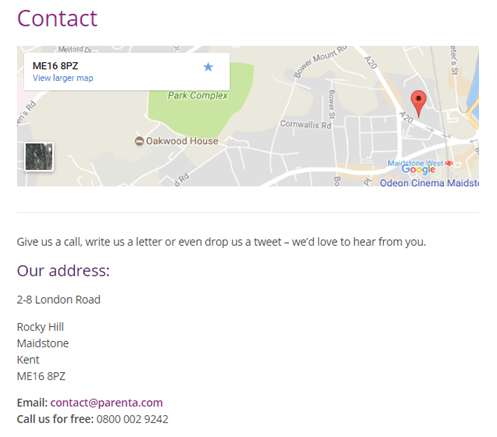 Add your email details, telephone, physical address and even links to your social media pages. Triple check the accuracy of these, as it’s crucial these details are correct. In one study conducted by Execute Marketing, they tested two identical looking website pages with one fundamental difference. The first had an in-page contact form, whilst the second had a button which then launched a contact form. After 6000 visits – 3000 sent to each page at random – the page with the in-page form outperformed the page with the button by 100%. i.e. twice the volume of enquiries. Make use of this by including a visible in-page contact form on your website. The common phrase “Just Google it” has been indicative of how reliant modern day man is on search engines. Now, more than 50% of search queries globally come from mobile devices. So, if your website isn’t accessible from mobile phones, then you’ll be losing a large chunk of potential traffic and therefore, potential enquiries. If your website is optimised for this, it will automatically resize to fit the device screen of the visitor. Having awards and accreditations, such as Millie’s mark or Ofsted ‘outstanding’, helps to set you apart from your competitors. If you have these, you should showcase these on your website to reassure parents of your professionalism. You may wish to have a dedicated page for these, or use the footer of your website. They say an image speaks a thousand words, so the images used on your website should be clear and of the highest quality. The photos you choose also play an important part in your design. For example, using human faces creates a feeling of trust – of course, if the people in the images appear likeable and trustworthy! On your team page, you can use images of staff to build rapport with the visitor. Having a website is like having your very own online sales person, marketing your business 24 hours a day. Using the tips outlined above, you can maximise the effectiveness of this “online sales person” and ensure that the visits to your website have a higher chance of converting into showround enquiries. Looking to design a new childcare website which incorporates all the elements above? Speak to our digital team today!